It has been a long time since my last blog about the first 4 reasons to love my University of Otago. I just came back from 20 days holiday, and I am so eager to give you the other 4 reasons. If you missed my first four reasons to love Otago, see them here. As you know, I am from Vietnam, a small country in Asia. When I first came here, I thought that there would be many people asking me “where is Vietnam?” if I introduced myself. However, surprisingly, they not only do not ask me that question but also tell me so many interesting things about Vietnam. Especially, they even know clearly and in detail about Vietnam’s history. Some of them also asked for my contact to see me again and show their willingness to see more pictures that I took in my country. In addition, when I say my name is Van Nguyen, they will immediately ask me “Are you from Vietnam? 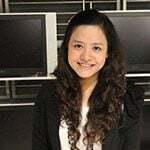 Is Nguyen popular surname?”, and then I can have their 10 minutes to explain my surname’s history as well as my study at the university. That makes me feel happy, and warm in my heart because people do care and love my country. 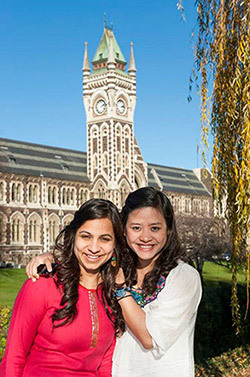 The University of Otago is the first University in New Zealand. With the advantage of big land, we have a big campus with many buildings and libraries close together. We have a total of 7 libraries within campus which are really convenient for students. Our libraries are so warm and modern. 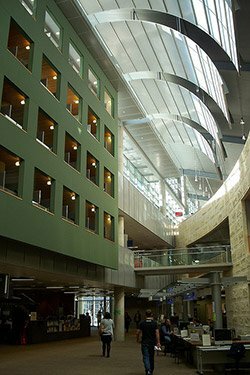 They also have so many books, full facilities, and especially have union food court inside libraries, and open till 11 PM during weekdays. Because of those perfect reasons, libraries become our second home where we normally stay the whole day without being bored. I love Central Library. It has a beautiful architecture. I usually change my study place as a good way to explore different places and enjoy differently every day. Dunedin is cold all the time. Thus, there will be perfect to stay in warm libraries with so many hard study students. In here, how can I be lazy? I still remember I got C+ for my first paper. I felt sad and shame. My professor, Brendan Gray and my course coordinator encouraged me and advised me a lot. They spent nearly 2 hours to fix each and single mistakes that I made. I got improvement on a second paper and got A- for that. After that, I feel better and even try harder. In addition, the International Office also asked the scholarship department to give me an allowance for a personal tutor who already studied my course even normally tutor allowance is not for a Masters student. I feel really happy and do appreciate their help. The first opportunity that I have is to become a postgraduate representative. This opportunity helps me to meet and discuss with so many other representatives who are studying for a PhD. I do learn so many interesting things from them. Secondly, I am so lucky to work in the university food court inside campus where I can earn money, practice speaking English, dealing with customers who are active students, and learn more about the business environment in New Zealand. I also love cooking. Thus, my job satisfies everything I need. Besides, I have 2 lovely bosses who care and teach me a lot. They do love me and make me happy all the time. My co-workers are my sisters whom I can share both happiness and sorrow. I love everything I am having. Thirdly, thank you to the Accommodation Office. Living in a university flat is the best decision that I have ever made because in here I found my dearest, closest, and most lovely flatmate. Her name is Monika. She is now not only my flatmate but also my sister. We do care, love, and have a lot of fun together.